Surface: well-made crushed gravel. Can be done on a road bike. 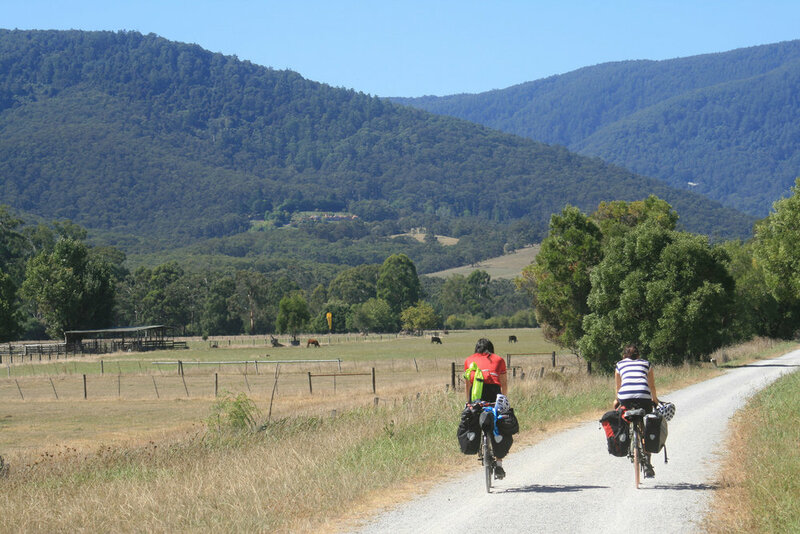 A short out-and-back ride starting and finishing in Lilydale in Melbourne's east. OK, there's no shortage of info about, or awareness of the Warby Rail Trail, but I feel I have to include it because it's just such a good beginner's ride. It’s easily accessible via the metro train network, completely off-road, no great hills or distances, well-serviced by bike shops and cafes, and just so damned nice! There are usually plenty of people on the trail, the scenery is gorgeous, and the valley is known as a gourmet destination, so check out the related tourist info if you're into that. If you want a bigger challenge, you could try riding the O’Shannassy Aqueduct Trail, which runs roughly parallel to the rail trail. Yarra River—wash off the sweat and dust with a swim at Warburton. Any time. As always, be prepared for heat in summer and cold/rain in winter. Jump on the Lilydale train line which will take you to the start at Lilydale. Surface: gravel of varying quality, some rocky sections, some singletrack, some sealed road. Recommended gravel-type bike with 35mm or wider tyres. 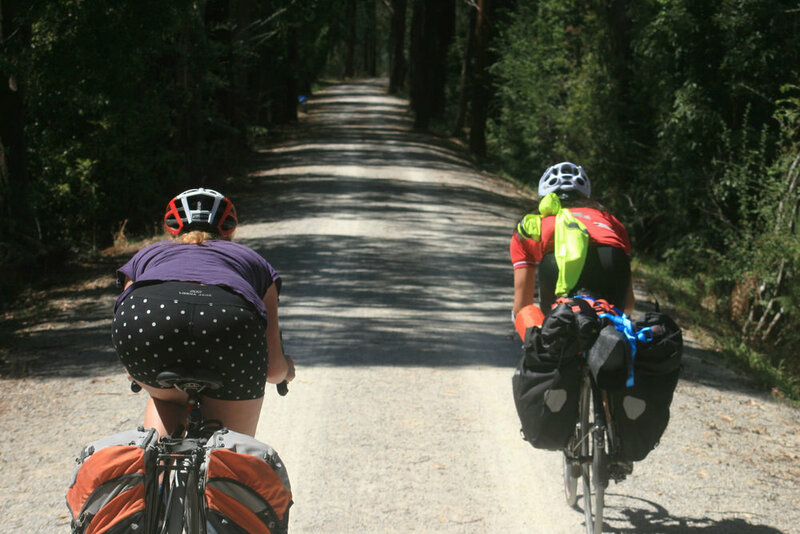 Surface: Sealed road, gravel, hard packed dirt, rail trail. Best suited for CX/ gravel bikes or anything that will take at least a 32mm tyre.